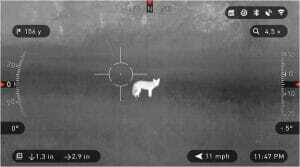 It is mostly known that thermal cameras are used for building maintenance among other things, but an interesting fact is that they are mainly used for hunting and spotting animals. Some people may believe that there is no difference between the thermal and night vision cameras, but in fact, there are actually quite a few differences. The most important difference is that night vision cameras amplify the light available for the objects to be visible just as they are during the day. 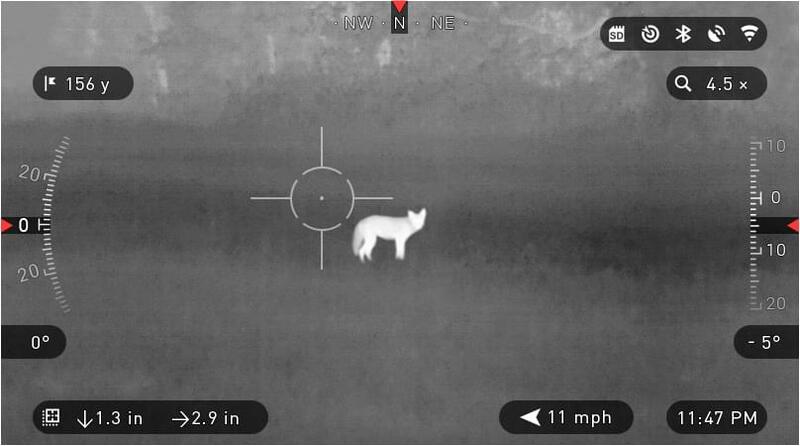 The thermal imaging cameras for hunting spots and highlights the differences in body temperature, which makes it easier to spot living animals or people. Thermal imaging cameras are used worldwide by hunters and professional documentary makers. There are several features that can be found in these cameras. For example, the batteries in the thermal imaging camera are made of lithium, which operates from 5-8 hours. The magnification options are very beneficial in order to zoom in on your target, making it much easier to identify. The germanium lens in any camera are used to transmit the light on the infrared spectrum. They are most commonly known to be better at night, but they function with the exact same efficiency. The reason behind this belief is that animals can spot the hunters in the morning, and that is why most hunters prefer to go hunting at night in order not to be seen, not due to lack of efficiency in the camera. This is a new tool used in wildlife detection. The Swiss nature photographer and freelance wildlife journalist Michele Constantini wrote a review of this new wildlife detection tool for the Swiss hunting magazine Jagd und Natur. In his review, he said “Until a few years ago, a thermal imaging camera would cost more than a midsize car. In recent years, however, some affordable thermal imaging cameras have come on the market. Although the resolution of these thermal imaging cameras is lower than the resolution of most visual photo cameras, the high contrast image of a thermal imaging camera really is a great way to track game. With these devices, you can see the outlines of animals and people very clearly, even in total darkness and in light fog.” The TS-Series is not only useful at night, but also during the day because it shows you the animals in a thermal image despite the lighting around you. It is also designed for rough outdoor environments. The Pulsar Quantum HD50S is ideal for advanced shooters. It has a start-up time of 5 seconds or less. This device can be used in any condition, especially during bad weather conditions, where most animals tend to hide behind thick bushes. It can spot animals that are approximately 1250 meters away due to its technical features. This thermal imaging camera is ideal for more advanced shooters due to its high-resolution Germanium lens, OLED display, magnification with digital zoom that allows detection range of 125o meters for a human-sized target. It could also be used for both day and night hunting, even in rain or fog. As for the body of the camera, it is fiberglass reinforced plastic that allows it to withstand impact, moisture, and dust. It is also lightweight and compact in size. Due to all of these features, the Quantum HD50S would be very ideal for an advanced shooter. E-Barometer, which provides you with precise data so that you can make the accurate decisions to be dialed in. Gyroscope, which activates image stabilization to improve the ability of spotting while hunting. E-compass, which helps you get a better shot through fixing the directions. Another great option is the Patent Pending Smart Range Finder that helps in ranging your target simply through two clicks that will shift the scope. There is no doubt that, with technological advances taking place all around us, thermal imaging cameras will continue to improve their features and functionality. But until then, these are some of the best thermal imaging cameras you can use on your hunting trips.